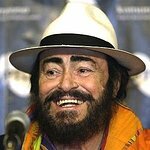 Italian tenor Luciano Pavarotti is to be honored at a tribute charity concert in Petra, Jordan, a year after his death. Proceeds from the concert – to be held on October 12 – will go towards projects in Afghanistan by the UN Refugee Relief Agency and the World Food Program, as well as to the Petra archaeological site 180km south of Amman where the concert will take place. The audience – limited to about 500 people – will be entertained by many of Pavarotti’s friends from across the music industry, including Sting, Jose Carreras, Andrea Bocelli, Jovanotti, Laura Pausini, Angela Gheorghiu, Andrea Griminelli, Cynthia Lawrence, and Roberto Alagna. The event is being organised by Nicoletta Mantovani – Pavarotti’s widow – with the support of HRH Princess Haya of Jordan, a UN Messenger of Peace. “This is an event born of the desire of everybody to remember Luciano, with songs dedicated to him or ones that he had sung,” said Mantovani. Pavarotti actively supported UNHCR projects in Kosovo, Pakistan, Zambia, and Iraq before his death. For his continuous commitment to refugee causes, he received UNHCR’s Nansen Refugee Award and was named a UN Messenger of Peace.